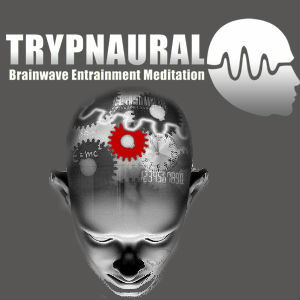 This is a special 1hr Trypliminal audio session and a 30 minute hypno-fractal video session designed to reprogram your unconscious mind for automatic life success. Subliminal audios are a power method for rewiring limiting negative belief patterns that we may have trapped deep inside our subconscious or 'other than subconscious mind. This is a special 1hr session designed to reprogram your subconscious for automatic life success. Subliminal audios are a power method for rewiring limiting negative belief patterns that we may have trapped deep inside our subconscious or 'other than subconscious mind. If you imagine your subconscious or other than conscious mind is like a hard disk of a computer. This disk gets corrupted when you are constantly under stress or bombarded by negative influences frequently. You can correct it by repeating special mantras or listening to subliminal audios while in the alpha brainwave state. The alpha wave music in this session has been scientifically produced by Niraj Naik from the Alpha Mind System. This special style of music is embedded with brainwave entrainment tones that entrain your mind to the alpha brainwave state, your most peaceful and relaxed state of mind. The infinite intelligence of my subconscious mind reveals to me my true place in life. The infinite intelligence of my subconscious mind reveals to me everything I need to know at all times, everywhere. Success and Good fortune flow toward me in a river of abundance. All of my thoughts, plans and ideas lead me straight to success. Opportunities and advantages come with each door that I open. Prosperity and success is my natural state of mind. I AM the example of success and triumph. I AM whole, perfect, strong, loving, harmonious and happy. 1. 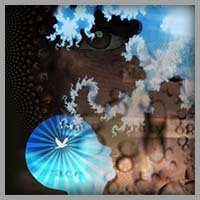 Unlock The Power Of The Alpha Mind – The full 79 page eBook that is a blueprint to the Alpha Mind System and is based on the research and self healing miracle of Niraj Naik when he recovered from a major chronic illness after discovering how to access the magical life transforming power of the alpha mind. 3. The Universal Bank Of Spirit Consciousness By Niraj Naik – This is something I wrote while I was really suffering badly with stress about 2 years ago. It has been downloaded over 3000 times since. This story represents a set of values, rules and spiritual laws that I have made a promise to myself to stick to. In doing so miraculous changes have happened to my life since. Give it a try and see..